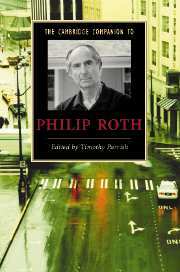 From the moment that his debut book, Goodbye, Columbus (1959), won him the National Book Award, Philip Roth has been among the most influential and controversial writers of our age. Now the author of more than twenty novels, numerous stories, two memoirs, and two books of literary criticism, Roth has used his writing to continually reinvent himself and in doing so to remake the American literary landscape. This Companion provides the most comprehensive introduction to his works and thought in a collection of newly commissioned essays from distinguished scholars. Beginning with the urgency of Roth's early fiction and extending to the vitality of his most recent novels, these essays trace Roth's artistic engagement with questions about ethnic identity, postmodernism, Israel, the Holocaust, sexuality, and the human psyche itself. With its chronology and guide to further reading, this Companion will be essential for new and returning Roth readers, students and scholars.